In a startling departure, James Lee Burke has written an epic story of love, hate and survival set against the tumultuous background of the Civil War and Reconstruction. 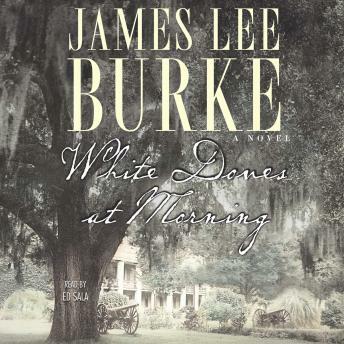 At the center of the tale are James lee Burke's own ancestrors, Robert Perry, who comes from the slave-owning family of wealth and privliege, and Willy Burke, born of Irish immigrants, a poor boy who is as irreverent as he is brave and decent. Despite personal and political conflicts, both men join the Confederate Army, determined not to back down in their commitment to their moral belirfs, to their friends, and to the abolitionist woman with whom both are infatuated. Willie's friend, Flower Jamison, a beautiful young black slave is owned by -- and fathered by, although he will not admit it -- Ira Jamison. Owner of Angola Plantation, Ira Jamison returns after the war and transforms his plantation into a penal colony which houses prisoners he rents out as laborers to replace the emancipated slaves. Against all local laws and customs, Willie teaches Flower how to read and write. She receives the help and protection of Abigail Dowling, the Massachusetts abolitionist who has attracted both Willie and Robert Perry's attention. These love affairs are fraught with danger and compromised by the great and grim events of the Civil War and its aftermatch. With unforgettable battle scenes at Shiloh and in the Shenandoah Valley, White Doves at Morning is an epic masterpiece of historical fiction. Great departure for Burke and really showed his range. Really liked the pictures he painted with his words and could really get into the era and feel of the book. The same terrific use of language expected by Burke and a new and truly interesting viewpoint of the Civil War. I want to believe there were people in my part of the US who actually felt like the character Burke.